Pádraic McMahon, a photographer and former member of the Dublin rock band The Thrills, inherited a collection of photos of Dublin in the 1960s from an elderly neighbour, William Stafford (1915-2006). McMahon recreated the photos as faithfully as possible, using the same exposure settings, in the same locations – even at the same time of day and in the same weather. 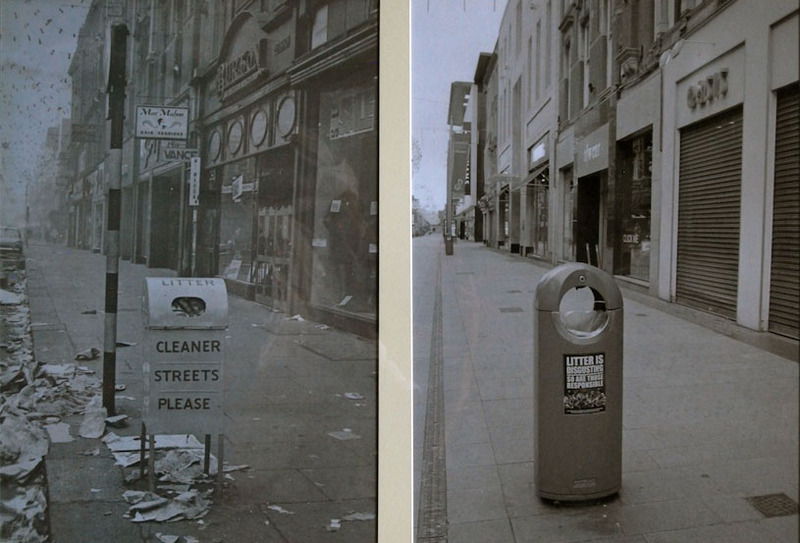 Here on the left a Litter Bin in 1966 and on the right in 2009.